Kettenbach USA Identium Impression Material Identium impression material combines the best features of both A-silicone and polyether materials. Great product detail. We were able to achieve detailed impressions very easily,” said a dentist from Johnstown, CO, with 9 years of experience. 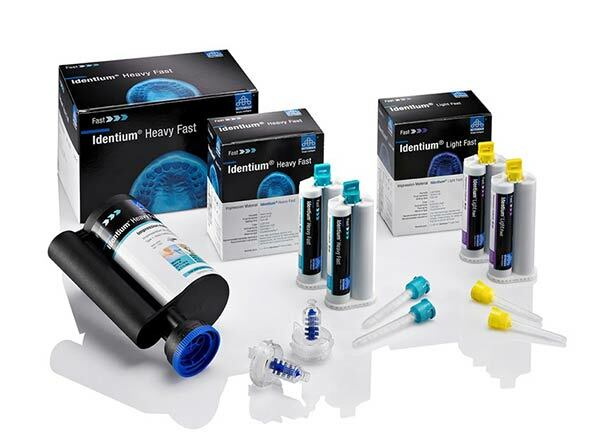 Another dentist said, “I’m quite impressed with this product and truly enjoyed using it.” Kettenbach’s Identium was developed for the 1-step impression technique and combines the advantages of conventional polyether materials with those of A-silicones. Ten dentist evaluators participated in Dental Product Shopper’s evaluation of Identium, rating several features, including ease of use, flowability, margin detail, and ease of removal, and overall satisfaction with the product. Easy to use Heavy Body! I have been using Kettenbach since the Chicago Midwest Dental meeting 2012. I have used their heavy, medium and light body poly-ethers ever since my local lab said it is best in a climate with wide temperature ranges (the midwest). I make a lot of partials and complete dentures for nursing home patients and have been using the heavy body for the custom tray impressions for its incredible definition and accuracy, as well as ease of use. I have been using the medium and light body for my crowns, which has reduced my number of returns. Their customer service needs a little help, but I will continue to use this product.